The word Kiss and Megan Fox combined is a dream come true. Yes, it is lovely to see Megan Fox get a kiss. You may want to view our Megan Fox Gets a Kiss blog post. 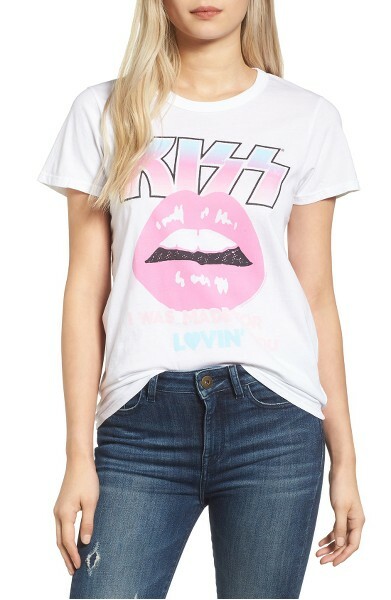 Below is a fashion model wearing the Kiss rock t-shirt so you can get a better look at this stylish graphic t-shirt that Megan was wearing. See more of the beautiful Megan Fox here on the Fashion Blog. The shirt is currently available at Nordstrom.